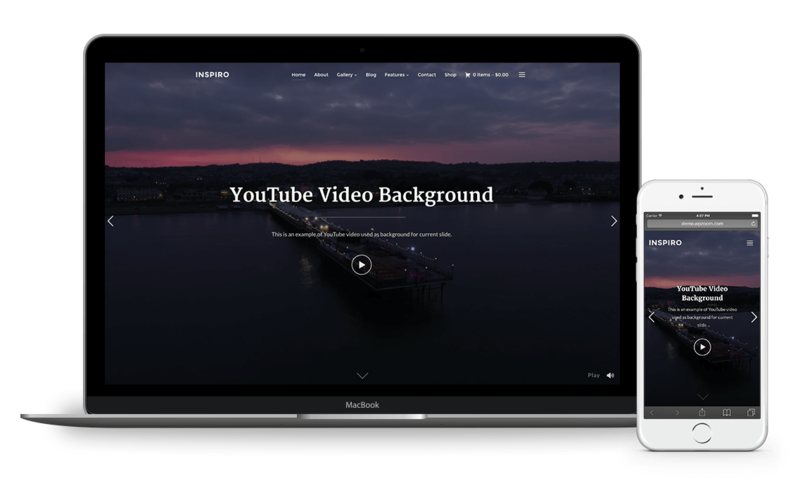 We’ve noticed that a lot of our Inspiro customers are using the theme for its video integration in the homepage slideshow. 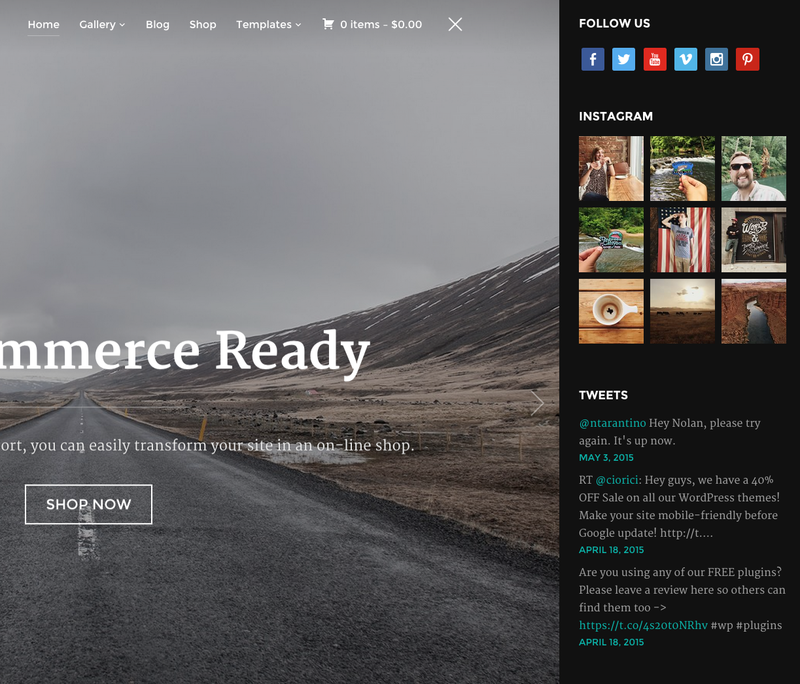 We’ve taken on board the feedback, and thought as so many happy customers are using the theme for its video and photography portfolios, a good addition to the theme would be a lightbox feature that works for both videos and images. This new lightbox feature is the headline change for version 5.0, but we’ve also made a number of other useful changes. Read all about them below. If you’re an Inspiro user already, you’re probably curious about the new features, so make sure to read below details about each of them. Until this major update, it was possible to add a video in a lightbox only in the homepage slideshow. Now, this feature is also available for Portfolio Posts everywhere: in the Portfolio archive page, in the Portfolio Showcase widget built for the homepage, in individual Portfolio posts pages. 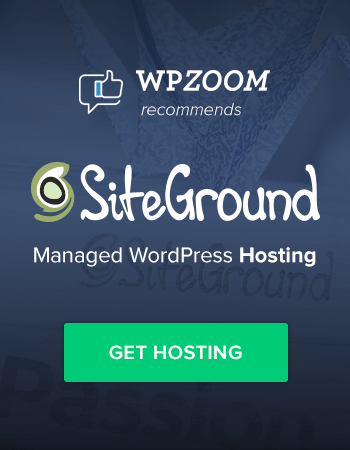 Past are the days when we recommend you to install a 3rd party plugin to replace the header menu with something that includes a search icon or social icons support. 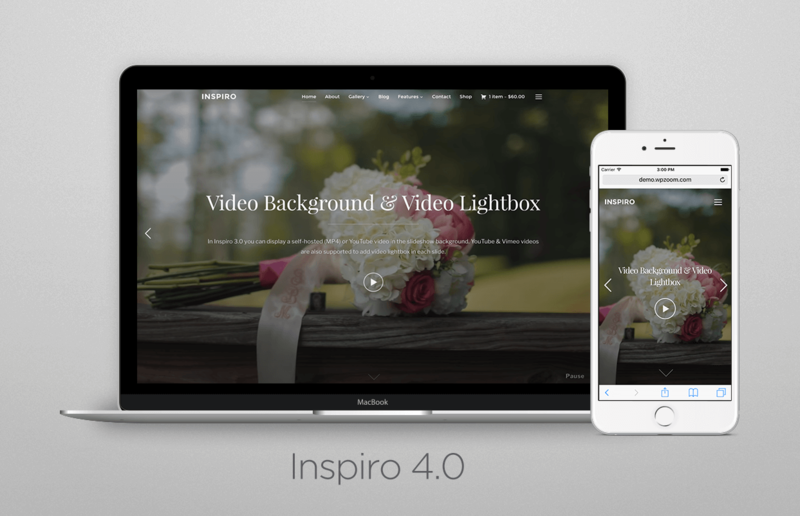 Inspiro 5.0 now includes both of these features. You can easily add any social icon you want thanks to the integration with our free Social Icons Widget plugin. There is also a beautiful fullscreen search form that will help your visitors search for something on your website much quicker. 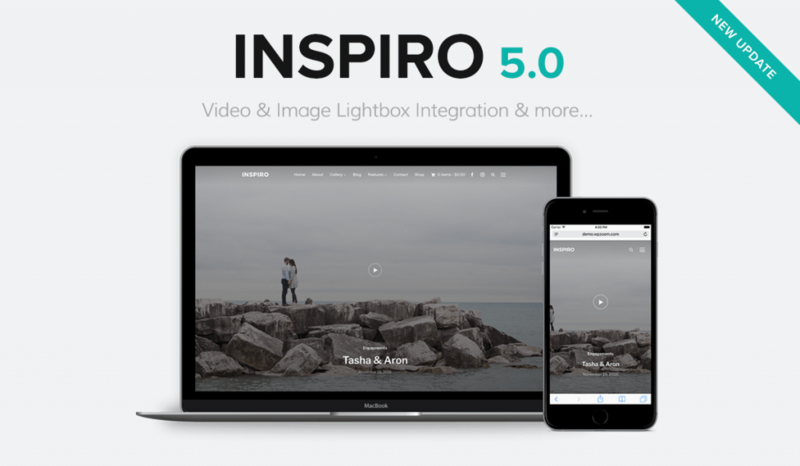 For more information about Inspiro 5.0 theme see the theme page or take a look at the live demo. That is a very nice feature, but it is not working! Has anybody the same issue? Can you please send us an email with more details about your problem? Have you update the theme to the latest version? I have it installed locally. So, it was an issue with the software apache Xamp (the free version). Solved it by not using it anymore and I set up the internal apache server.